Power wash to remove all dirt, mildew, moss and grass. Re-level sunken & lifted bricks. 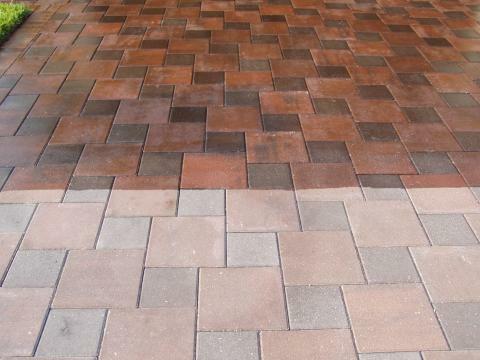 Re-Sand by applying a polymeric sand between pavers to secure and fill gaps. Seal by applying an acrylic sealer to protect against the suns U.V. rays, oils and heavily traveled areas.